Real estate investing is an increasingly favorable method of wealth-building, and there are many ways for individuals to invest in it. However, traditional real estate investment models have immense barriers to entry. They create an onerous burden in terms of both regulatory and financial aspects that makes investing unfeasible for most of the potential investors. So, if you are looking to invest in real estate perhaps in a foreign country, in addition to the significant capital required for purchasing the asset itself, you would generally need to incorporate a local entity as an investing partner since investment by foreign investors is restricted in most jurisdictions. You will also need to fulfill other statutory requirements including and not limited to taxation, accounting, and many other registration obligations as well as restrictions on the type of property funds. Furthermore, foreign direct investment also has vulnerability attached to it in terms of micro and macroeconomic conditions in each country. To mitigate these risks and overcome investing challenges, the market offers Real Estate Investment Trusts (REITs) as an alternative investment vehicle. A REIT is a trust, corporation or an association that owns, or finances income-producing real estate and can be publicly listed or privately owned. Global REIT is the first ever Blockchain based Sharia-compliant REIT to be launched in the cryptocurrency space today. It is offering investors exposure to the real estate market on a global scale without the necessity of acquiring an entire property and shift the management and compliance obligations to the fund manager. At first, Global REIT will acquire assets from the UAE and rapidly acquire more assets from other jurisdictions worldwide. The first AUM (Asset under Management) will have a Net Asset Value of USD 75 million. Gradually by the end of 5 years, Global REIT is projecting an Asset Value of USD 10 billion. The firm has decided to leverage the power of blockchain technology to build a world-class, robust platform on the Ethereum blockchain, powered by the strength and reliability of smart contracts to create custom asset tokens (GRET). The GRET token is based on the ERC20 standard which means the token will be tradable on all token exchange platforms, unlocking rapid, simpler, cheaper, and more secure trading than traditional REITs. 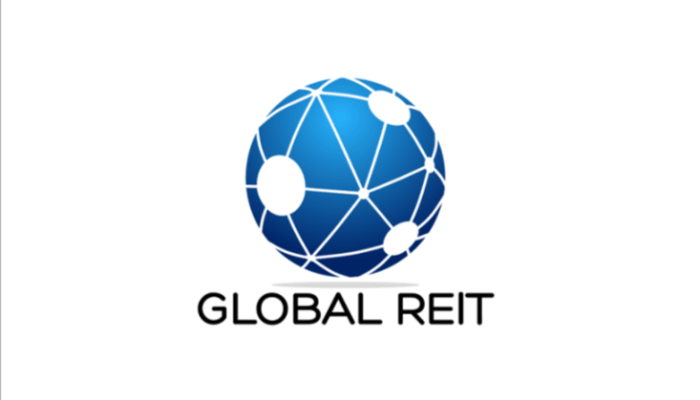 Global REIT has its pre-ICO scheduled to start from 1st May and ends 31st May 2018, during which it will offer Dual Utility tokens to its subscribers; Global REIT Fund Manager Token (GREM) and Global REIT Asset Token (GRET). This means that each ICO subscriber is entitled to a share in the Fund Management Company (GREM) and returns from the Asset Owning Company (GRET), besides the utility attached to each token. Publicly listed REITs will be liquid investment vehicles. Token holders of Asset Owning Company will be paid monthly dividends from their participation in the Fund Management Income, which is quite unlike traditional REITs. In the Pre-ICO stage, bonus tokens will be offered to subscribers in 4 tranches, with maximum bonus given to those subscribing in the 1st tranche. ETH, BTC and Fiat currency will be accepted for the subscription to these tokens. Subscribers will, in turn, receive dividends on their investments in USD and USDT (Tether). REIT will offer additional benefits including future access to any of its AUMs with free stays every year in its 1st Hospitality Asset, and reward points through its loyalty program which will be attached to its AUM, among others. Additional utility of the token allows the holder of GREM with a minimum balance of 100,000 tokens to have options to sell their real estate assets to Global REIT and thereby enter into the liquid market of the Global REIT domain. These tokens can either be bought from the Fund Manager -GREM- or from the open market. The settlement of such acquisition will be done in any cryptocurrency and the capital base will be open-ended. First of the assets will be secured on an 8% yield locked in for 5 years. The return will be distributed in two ways following ICO subscription. One, the income generated for GREM token holders will initially start at 2% of AUM and will reduce by 0.25% annually over the first three years, stabilizing at 1.25% thereon. Secondly, the income to GRET token holders will be a stable Return on Investment of 8% p.a. on its first acquired asset. In both instances, income is before any expenses related to the operation are incurred. Given that Global REIT is one of the first blockchain based real estate platforms, the firm has ensured that any concerns regarding the transparency and independence of the decision-making process is addressed strictly. In the interest of all stakeholders, the firm will implement an elaborate multi-level decision-making structure that is designed to exhibit utmost efficiency in the corporate and technological governance of the firm by the company’s board and various committees. They are a team of highly-energized experienced individuals with decades of experience in the real estate market.